Doylestown is a borough located in Bucks County. With a population of 8,380 residents and 4,000 homes, there are always homeowners that are looking to remodel their home, and Ryann Reed’s is up to the task. Layout your project with us and we will handle it the correct way. Read over our services to see if we can assist you or contact us directly! Ryann Reed can give your kitchen that cozy family kitchen feeling or stainless iron chef look depending on your preference. 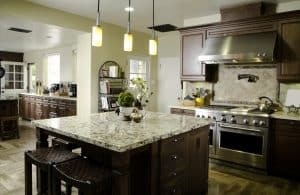 As the specialist, Ryan Reed allows clients to map out their vision for their dream kitchen and we will strive to deliver optimal satisfaction. If you don’t know what you want, we can recommend options for backsplash tiles, paint colors, fixtures, and all the small details that may be overlooked. We make dreams come true one kitchen at a time. Rub-a-dub-dub let Ryann Reed remodel your tub! Ryann reed offers great options for remodeling your bathroom. We can design and build a bathroom with a spa-like feel and turn it into your favorite room in the house. Don’t hesitate to give us a call with any questions concerning your bathroom. There is no challenge too great and Ryan Reed enjoys delivering nothing but smiles. We strive every day to deliver our clients our commitment to excellence. We hold ourselves to the highest standards with regards to design and craftsmanship. A task is a task undone if there is no satisfaction from our clients. Ryann Reed’s design-build services can handle any project from start to finish. We can help with home additions, kitchen remodels, bathroom remodels, layout changes, and basement refinishing.